Severos, patriarch of Antioch, was one of the most important ecclesiastical figures of the first half of the sixth century, a time when the reception, or not, of the Council of Chalcedon (451) was still a matter of much dispute. As an opponent of the Council, Severos had to flee from his patriarchal see to Egypt in 518 when Justin came to the throne and imperial policy changed. Summoned by Justinian to Constantinople in 536, he won over Anthimos, the patriarch of Constantinople, but in the reaction to this unexpected turn of events, both he and Anthimos were anathematised at a synod in the capital and his writings were condemned to be burnt. Regarded as a schismatic by the Greek and Latin Church, he is commemorated as a saint in the Syrian Orthodox Church, and so it is only in Syriac translations from Greek that the majority of his voluminous writings are preserved. The first of the two biographies translated in this volume was written by Zacharias, a fellow law student in Beirut. The purpose of the work was to counter a hostile pamphlet and it happens to shed fascinating light on student life at the time; composed during Severos’ own lifetime, it covers up to his election as patriarch in 512; the second biography comprises Severos’ whole life, and its author, writing only shortly after Severos’ death in 538, was probably a monk of the monastery of Qenneshre, on the Euphrates, a stronghold of Severos’ supporters. 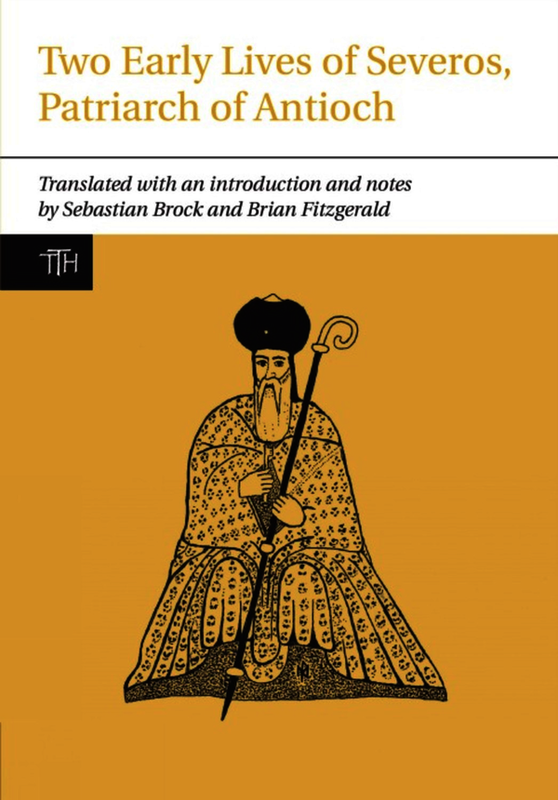 In this volume for the Translated Texts for Historians series, the Anonymous Life of Severos is translated for the first time into English alongside a fully annotated translation of the Life of Severos by Zacharias scholastikos, all of which is preceded by an introduction providing the historical setting and background. This volume is a compendious, user-friendly, scholarly tool which will be much appreciated by those engaged in Syriac studies, history, theology, hagiography, and the post-Chalcedonian period, and it will be a welcome addition to the Liverpool series. This very carefully prepared book leaves nothing to be desired. For many years now, the series of Translated Texts for Historians offers valuable translations into English of important late-ancient writings from Greek, Latin and Eastern Christian tradition. The present work is a welcome addition to the series as it offers a translation of two lives of the famous patriarch Severus of Antioch....The translation, flawless as one might expect, is accompanied by a series of short notes with references to the characters and events mentioned in it, as well as, a glossary of technical terms, a Bibliography, and an appendix with the list of the bishops of the important sees. Sebastian Brock is Professorial Fellow at Wolfson College, Oxford. Brian Fitzgerald is an independent scholar.